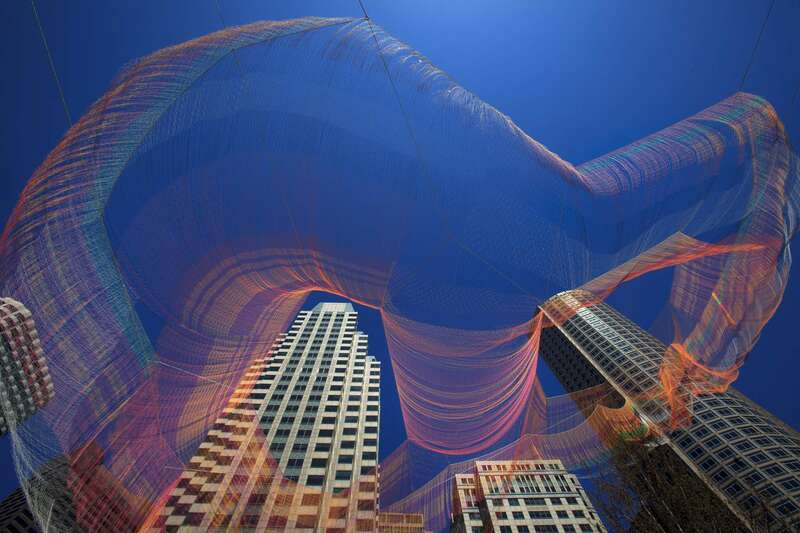 5/03/2015 - Boston, MA - A new aerial sculpture by artist Janet Echelman was suspended above the Rose Kennedy Greenway on Sunday, May 3, 2015. Topic: EchelmanGreenway(4). Story by Malcolm Gay/Globe Staff. Photo by Dina Rudick/Globe Staff.